Inflected with the uncanny enchantment of modern folklore and animated by the sly shifting of points-of-view, The Lumberjack’s Dove is wise, richly textured poetry from a boundlessly creative new voice. 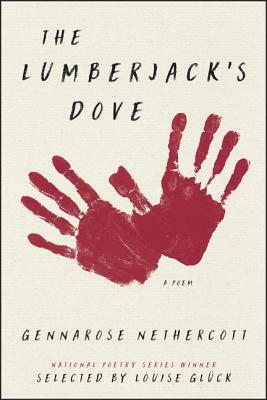 GennaRose Nethercott’s book The Lumberjack’s Dove was selected by Louise Glück as a winner of the National Poetry Series for 2017. Her other recent projects include A Ghost of Water (an ekphrastic collaboration with printmaker Susan Osgood) and the narrative song collection Modern Ballads. Nethercott tours nationally and internationally composing poems-to-order for strangers on a 1952 Hermes Rocket typewriter.